An ice wrap you don’t need to freeze? I am sure you all know how much I use and trust ice therapy to repair and restore muscles, right? I believe cold therapy is one of the best forms to help ease pain and help repair any damage or strain from running. R.I.C.E (Rest Ice Compress Elevate) is the best for immediate treatment for not so serious injuries. 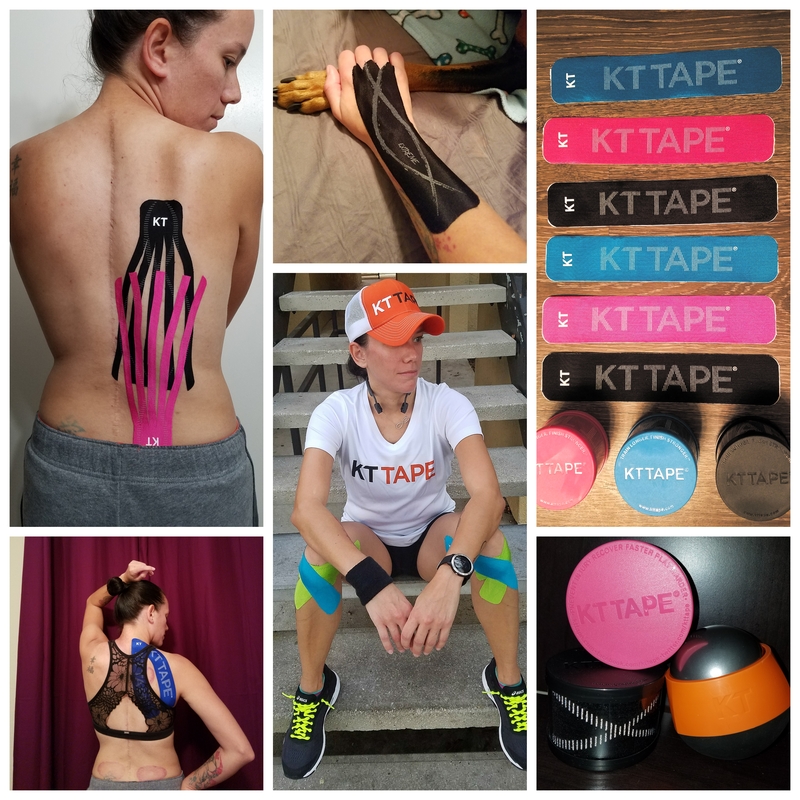 It helps reduce swelling and the pain caused by either chronic injuries or a new injury you decided to pick up at your last run. After I do long runs, I usually wrap my legs with bags of homemade ice bags, even if they don’t hurt. I use ice to reduce swelling and prevent pain post run. It makes a major difference and keeps my recovery time quick! I have recently come across probably one of the greatest, easiest forms of cold therapy. The ARCTIC EASE WRAP!!! Oh my goodness is this thing awesome! The Arctic Ease Wrap is a cold compression wrap that stays cold without putting it in the freezer!!! Intrigued yet?? Arctic Ease Wraps are therapeutic cold compression that stay in place, while you go about your daily activities. It’s ideal for sprains, muscle cramps, and sore muscles. It comes in a plastic bottle, odorless, latex and adhesive free, and non medicated. The wraps are 4 inches wide by 5 feet long and can be cut into smaller strips. These wraps are ready to use! No need to freeze them! I think this is excellent for all you traveling runners who need ice after a race. I wish I would’ve known about this for my marathon because I was in need of ice at the hotel but had no access to an ice pack. I had to keep going to the ice machine because the ice would melt fast and wasn’t very effective. The Arctic Ease Wrap comes in its own bottle and all you do is wrap up your injury and you would feel immediate cold relief! It’s the weirdest and coolest thing ever! When I got it, I obviously applied it to my chronic shin splints I get. I didn’t see how it was going to do any relief as when I wrapped my shin it wasn’t cold. But once I finished it was VERY cold!!! It was such a relief to have a tight cold wrap on my shin and made the soreness go away! It does come in different colors, you can check their website for the variety. The wrap stays cold for hours! I kept mine on a good while as I didn’t even feel it. It was so comfortable to have on, it just felt like I had a compression sleeve on. Luckily it won’t burn you like ice might (guilty) it just gives you a cold easing sensation. I just went on with my day and left it on. It doesn’t move, slip, or need any clips to keep it in place. How perfect is this if you go to the gym, or those of you who hit the trails far away from home and need cold therapy right away!?! Just keep a bottle in your running bag and just unwrap it and put it on your injury =) This is PERFECT for those who travel a lot and don’t have access to ice packs. I am telling you this is probably one of my new favorite ways to help ease my pains. I do wish it was possible to use this on my back but it’s mainly used for legs, feet, and arms. Once you are done using it, re-wrap it on the tube it comes in and place it back into the bottle. Put 1 to 2 tsp of water in the bottle and put the lid back on and let it sit for at least 2 hours, and TADA….ready to use again! You can reuse it to about 8 times or so, that is perfect and very useful for those times that you need it immediately. It happens to me sometimes when I need to put cold therapy on right away but not going home right after running. I’ve run my daily miles in the morning and head right to my son’s school to pick him up with my wrap firmly in place. I recommend you all give it a try. It’s useful, practical, and easy. The best way to use ice therapy without having to freeze anything. And one last awesome point this wrap has…it’s good for the environment! Since it has no latex or adhesive it’s completely biodegradable! It’s a win win! Try it out! They have the wraps on sale right now, but I don’t know how long that would last. I recommend you go now and see for yourself! Have to admit I am glad to hear that I am not the only one who has ever burned themselves with an icepack! I will have to check this out, thanks! This looks amazing, I might have to get some. Like you I just use bags of ice but it means you can’t really get on with the day, and you’re left with suspicious looking wet patches. When I ran Chicago I started having some debilitating IT / Patella tendon pain around mile 20, and so had to hit up a couple of first aid stops along the last 10k of the race. One stop massaged out the area (when you learn that the guy running that tent is an “instructor” and everyone else there are his students in PT, and the guy says, “hold on, I have to get my class to observe this… this is intense”, something is really bad), but after the massage they wrapped me in two of these things. I kept those, and discovered that one was in my goody bag. I LOVE Them!!! Previous Previous post: Chocolates, racing, and more chocolates! Next Next post: Tips to calm pre race nerves!